Earlier today Shenandoah Studio’s announced that this Thursday they will be releasing Desert Fox: The Battle of El Alamein, the third volume in their highly regarded Crisis in Command historical turn-based strategy game franchise. Set in the years 1940-1943, Desert Fox puts players in the strategic combat boots of Generals Bernard ‘Monty’ Montgomery and Erwin Rommel in this critical WWII campaign across the desert, which was a turning-point in the battle for control of North Africa. 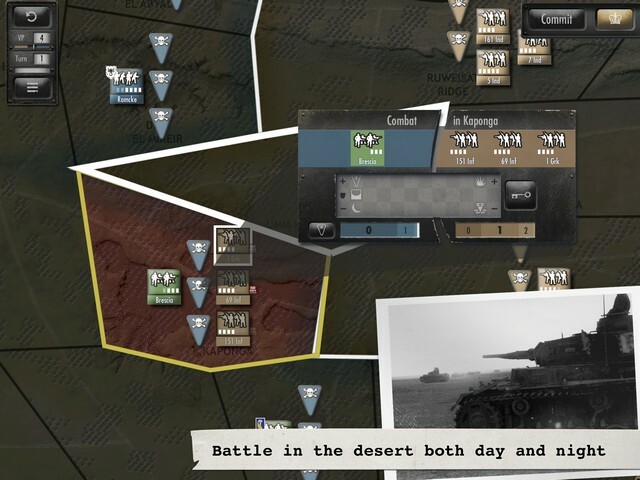 Whether you choose to “hold the line as the Commonwealth or push for Cairo as the Axis”, in Desert Fox, your tactical abilities will be put to the test in both asynchronous local and online head-to-head battles or against worthy AI opponents int the single-player campaign. Building (and improving on) the engine used in both Battle of The Bulge and Drive on Moscow, this newest title in the series features the same great and intuitive interface of the previous CiC games with some UI tweaks for improved usability, interesting historical information about each of the battle scenarios as well as the ability to play from either the Axis or Commonwealth, each with their own set of goals and strategies. There is also a gorgeous looking new battle map complete with new desert terrains and historically accurate military units, as well as a cool new mine clearing game mechanic. Also, unlike previous titles in the series, Desert Fox will be a Universal app at launch. Newcomers will benefit from a series of four tutorial scenarios which will teach them all of the basics to get started. 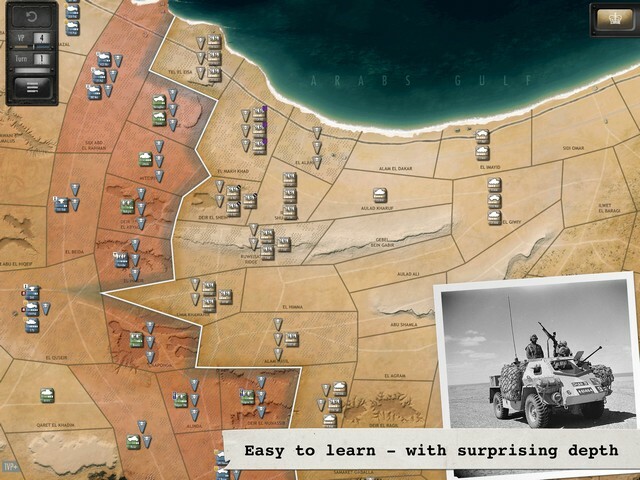 I had an opportunity to play an early build of this game at PAX East earlier this year and I had a fun time (even though I lost the war), so I’m looking forward to testing my tactical prowess and redeeming myself when Desert Fox: The Battle of El Alamein launches this Thursday for $9.99.